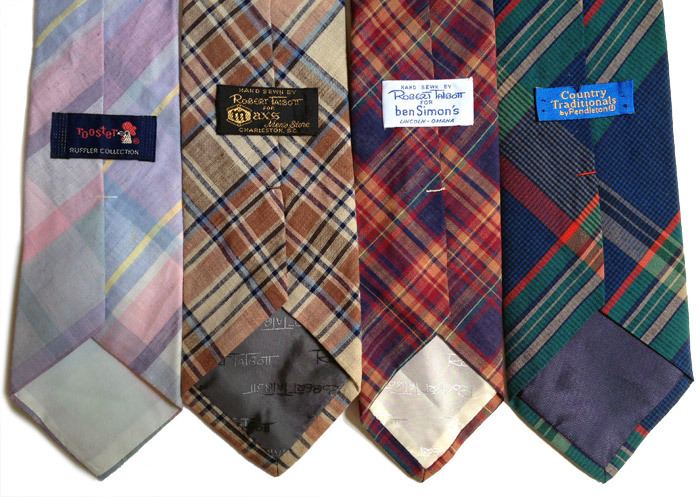 Although I haven't had a big tie bonanza in some time, there was a period of about a month where I found one decent tie every time I ventured into a thrift store. They were often the only good things I found on my adventures (other than some great toddler outfits), but a couple of them filled holes and some others will probably find themselves returned to the wild at some point. First up is this stack of really varied pieces, from several different makers. 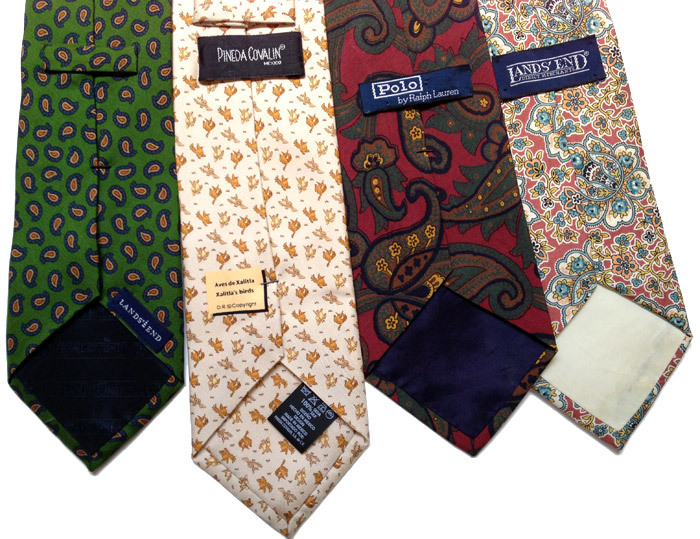 I don't have too many green ties, so the Lands' End on the left definitely fills a void, and while I knew nothing of Pineda Covalin, the Mexican bird motif charmed me (in an Hermes, Ferragamo-esqe way). The construction on it is quality and I can't quite decide whether I should keep it or not. The Polo piece is one that I'm still torn on as well, as I fluctuate between thinking it's bold and something I need to keep while at other times thinking I need to burn it with fire. The far right Lands' End is also a keeper. Lovely summer colors. Stack of madras and plaid, again from different makers. After not finding any madras for ages, I ran across three all in just over a weeks time, including the two, old Talbott pieces in the middle. 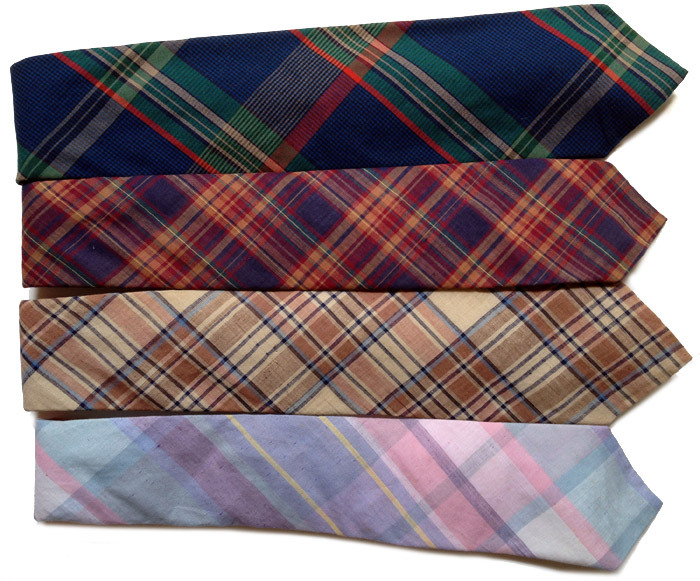 Of these three pieces, my favorite may very well be the really unique "Country Traditionals" plaid cotton tie by Pendleton. It's not madras, but the greens, blues, and reds are really lovely and it's casual in all the right ways. I've promised myself I will get rid of at least one tie from my collection with every one that I bring in, so this slower uptake makes for easier decisions than finding two handfuls in one swoop. 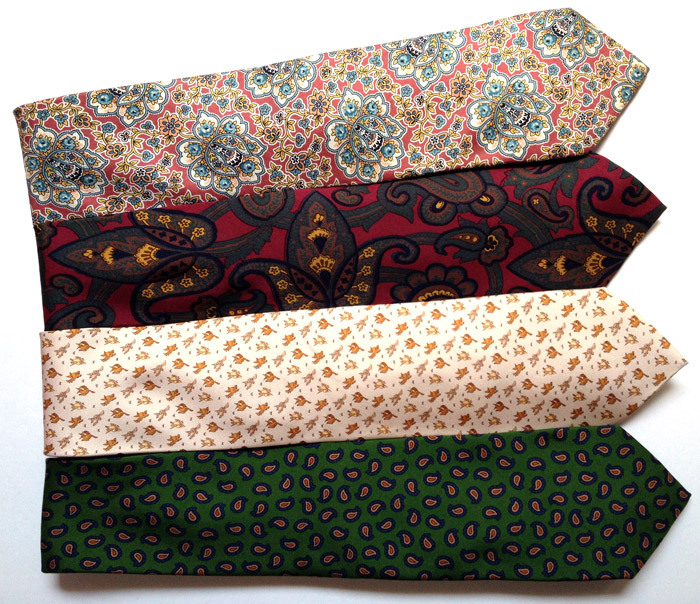 Congrats on the new ties. The old Talbott pieces are wonderful. I have some as well, which I've boiled to bleed the colors a bit. Might be worth trying if you want to mellow the tones. Nice finds! I'm glad you're back to posting regularly. This site is my attempt to write about my evolving sense of style and interesting objects purchased on a modest budget. Thrift store, garage sale, and mark-down purchases ahoy! Shoot me an email at contact @ mistermidwester . com if you have any comments / suggestions / questions. Thanks!